Many of us who have worked with Lync understand the importance of having all the Lync servers and clients synchronized with the correct time. This is due to MTLS and TLS communications between servers and clients which require that the time difference between any two peers cannot be greater than 5 minutes. In an environment with other 3rd party devices such as Polycom RMX MCUs and HDX Video Conferencing endpoints, the challenge becomes even greater. Although not widely documented, windows server actually comes with a NTP server running as the Windows Time service. By leveraging this NTP service, you can keep all your Lync servers and Lync-connected clients/endpoints properly time-synchronized. From the above output notice that the server is both a NTP server and client. 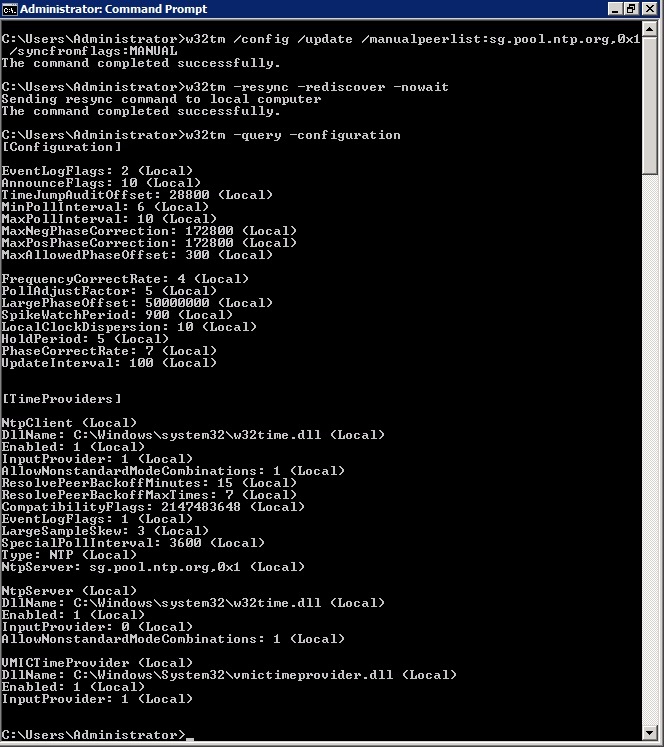 Under the NTPClient you can see the InputProvider: 1 (Local) which means the server is querying a time source and using it to syncrhonize the servers time. In the Type field, you see NT5DS which is the default setting for domain controllers meaning it will take the time source from the domain hierarchy starting with the PDC Emulator in the forest followed by other domain controllers in forest or PDC Emulators in child domains. The PDC Emulator itself will get the time source from either a external NTP server such as ntp.pool.org or if not configured then using the local BIOS clock. w32tm /monitor and look at the output. 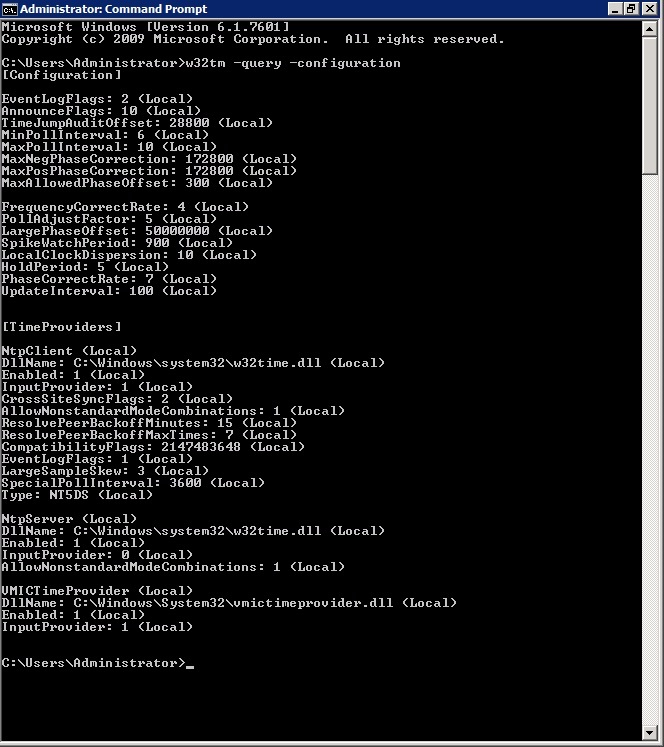 It will show the hostname of the server being used as the NTP time source. Now stop and restart the time service and the new settings should take effect.